La Merenda owes its life to its owner, Dominique Le Stanc. For many years he was the chef at the restaurant of the noble Negresco Hotel. 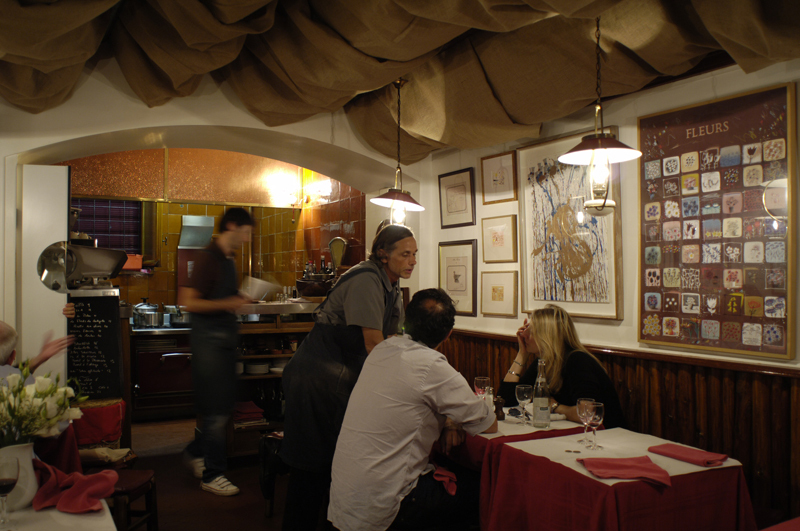 For a number of years now he has had his own restaurant where he does magic with regional dishes in a tiny, open kitchen: fried zucchini flowers, stuffed sardines, tripe, salted cod, and Pissaladière among others, all accompanied by a red, white or rosé wine from the region. Many dishes have become as legendary as the chef himself, who still rides his old bicycle to the market every morning to select the best, freshest ingredients for his memorable culinary creations.